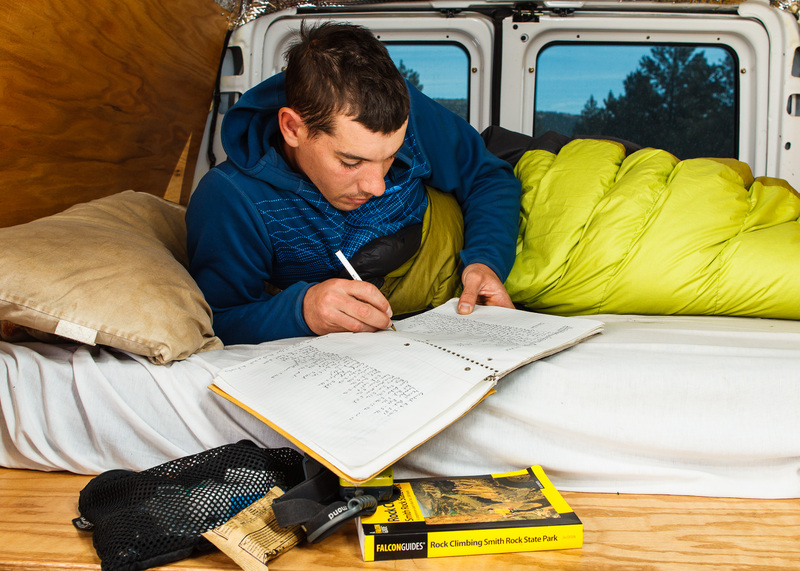 Alex Honnold writes in his climbing log notebook while in his van at the "Grasslands" camp near Smith Rock State Park. Terrebonne, Oregon. This notebook contains every climb Alex has ever climbed outdoors.